Bodkin Design and Engineering Receives Certification of Compliance by TÜV Rheinland of North America for the manufacture of Electronic Medical Devices. Committed to the advancement of the healthcare industry, Bodkin Design is a leading custom design-to-build solutions provider of next-generation bio-medical products. Bodkin Design and Engineering LLC (BD&E), is an electro-optic systems and solutions design-to-build firm that develops innovative, cost effective optical sensing products for medical device, diagnostic, life science, and bio-technology industries. BD&E is proud to announce that their biomedical manufacturing division is certified by TÜV Rheinland of North America to meet the global safety and quality regulatory requirements of IEC standard 61010-1. The IEC 60601-1 standard – which addresses many of the risks associated with electronic medical devices – has become a de facto requirement by most companies for electromedical products. BD&E designed and built a line of biomedical devices for Boston-based biotechnology company, Immunetics, Inc., which required environmental compatibility certification. 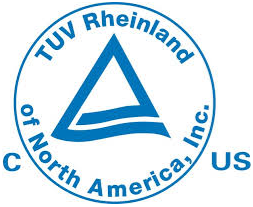 BD&E’s Biomedical Manufacturing Division evaluated and certified for TÜV Rheinland North America (cTUVus) marking. TÜV Rheinland evaluated BD&E’s manufacturing facilities and certified the devices for the TÜV Rheinland North America (cTUVus) marking. The product was in full compliance with requirements for radiated emissions, immunity to Electrostatic Discharge, and immunity to Radiated Electromagnetic Fields. In a statement from the President of Bodkin Design, Andrew Bodkin, “Bodkin Design is dedicated to providing the best value to our customers and the TÜV certification further demonstrates our commitment to excellence in quality when developing safe and reliable bio-medical products. The safety mark gives our customers an additional level of assurance in using our products”. For more information on Bodkin Design and its medical products design and development capabilities, please visit – Bodkin Design Biotechnology Engineering Division. Bodkin Design & Engineering, headquartered in Newton, MA is a leading maker of custom-engineered optical instruments, serving the biotechnology and healthcare industry by connecting healthcare OEMs and processors with quality products, sourced from world-class producers. Their team of dedicated technical experts, application development engineers and mechanical designers deliver expertise and innovation to medical applications, from creating new products to extending the lifecycle of existing equipments. BD&E provides customized solutions to improve profitability by selecting the right components while meeting the often complex safety and quality assurance requirements.